Translated from the Portugese phrase 'pérola barroca' meaning irregular pearl, Baroque and its translation perfectly describes the artistic creations occurring in the 17th and 18th Century in France. As you can see here with this magnificent Antique French Mirror irregular pearl perfectly describes the beautiful detailing's and the flowing symmetrical carvings. Hand carved from solid mahogany this Cheval Mirror is strong and exuberant as many Baroque pieces are, reflecting the strength in leadership of King Louis XIV at the time. 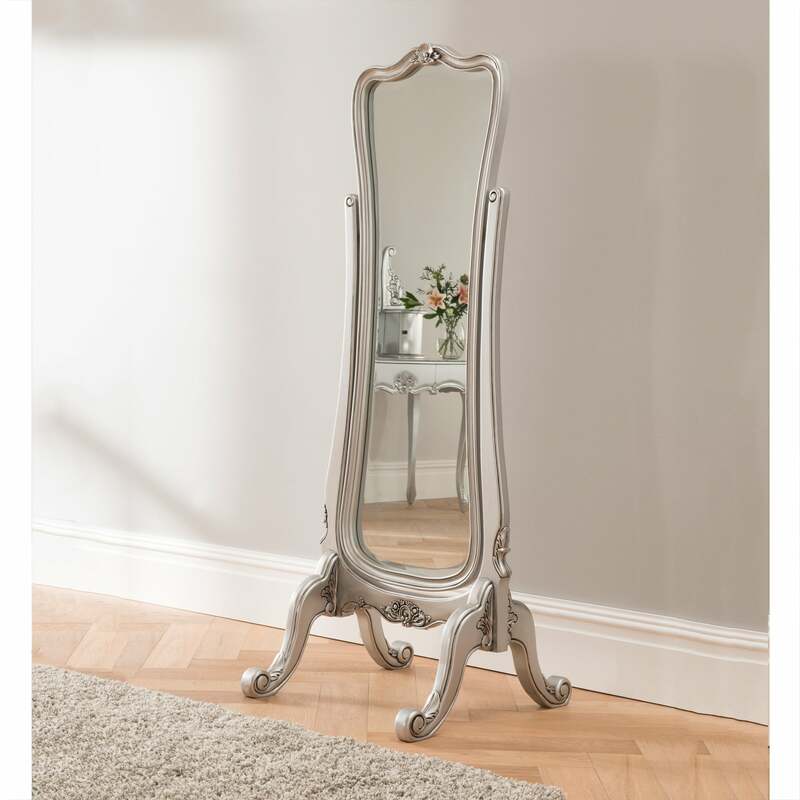 This Mirror is grand and extremely impressive in person and alongside the other pieces in the matching range would make for a stunning bedroom set.